Dr. Kolailat wants to speak to your group. If you are a leader or event organizer and want to schedule Dr. Kolailat for an upcoming meeting please contact our office. Dr. Kolailat, started his educational path in Michigan, where he graduated with honors with a Bachelor of Science in Biology and Biochemistry (Pre-Med), his focus was to become a health care provider. He got involved in research and had a passion for genetics where he was nominated the best S.I leader in genetics and organic chemistry courses that he taught. After his graduation from his Bachelor of Science, Dr.Kolailat joined the USGS, Great Lakes Science Center to perform some more studies and research in genetic for around two years then he realized that his goal was set to become a health care provider and he got side tracked. He then joined Life University to pursue his career in becoming a Doctor of Chiropractic, since he always had an interest in the neuro-musculo-skeleton of the human body. 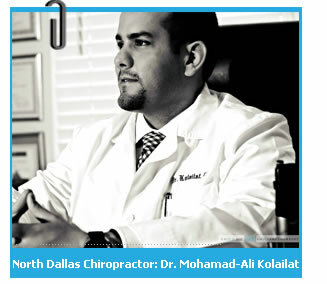 Dr. Kolailat had worked with professional Athletes before and he is currently working in the personal injury field. Dr Kolailat will always have the passion to be an educator, a health coach, a researcher, a speaker, among all his characters, Dr. Kolailat will always SERVE, LOVE and GIVE. Give our office a call or email Dr. Kolailat if you have any question or concern.